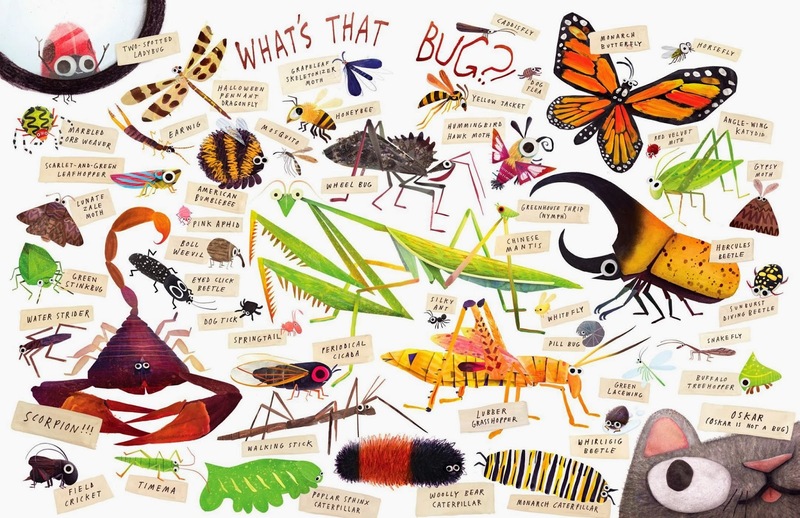 Thank you for dropping by to chat with me about your new picture book, Some Bugs. I read that you were inspired to write it after your daughter shared what one of her classmates thought about bugs. Please share that story with us. Like her Dad, Sophia shares a fascination of the backyard micro-cosmos and all of its insect inhabitants. She listens to the songs of cicadas while following Monarch butterflies as they flutter across our field, seeking milkweed. Her eyes widen when she discovers wooly bear caterpillars nestled in fallen autumn leaves, and peering at praying mantids camouflaged within the long grasses is a pastime. So, it didn’t surprise me that she was quick to defend these small, yet fascinating creatures. Still, I wanted to encourage her to see someone else’s point of view. "Well, some people think bugs are disgusting because SOME BUGS sting and some bugs bite.” I explained. “And some bugs STINK and some bugs FIGHT!” she quickly added.In that moment, the first stanza was written. Sophia and I rushed home, where I grabbed pen and paper, darted to the backyard and submerged myself in the sounds of chirping crickets and the hum of bees. We discussed the different actions and habits of bugs with my husband, Tony, our favorite armchair entomologist, and I enveloped myself in insect inspiration. Thank you for writing a book that is a ton of fun to read aloud and share with my students. Did you read it aloud over and over and over before you got every word just right? 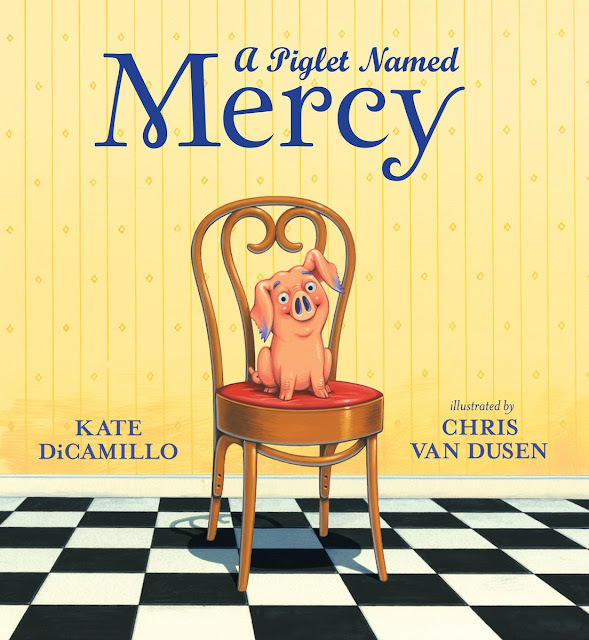 Angela DiTerlizzi: I did read it aloud, over and over again. I read the manuscript aloud to myself and to my family. I then called friends and colleagues and read it to them so that I could hear the beats and the words flow, and of course, I trusted my editor, Andrea Welch, to call me out on any questionable rhythmic moments. As both an author and a parent, I want the shared experience of reading to a child and listening to the rhyme to be engaging, anticipatory and clever. I want to offer meter and language that is both predictable and surprising. I often revisit the precision, wit and rhyme of Margaret Wise Brown, Dr. Seuss, and Shel Silverstein in hopes of capturing a glimpse of that in my writing. I’m sure a million people are going to ask you this question: What is your favorite bug? Angela DiTerlizzi: This is a tough one. My list of favorites has expanded since my interest in insects has grown over the years. They are each so captivating in their own way. The praying mantis is both fascinating and terrifying. It’s like the T-Rex of the bug world. The Blue Morpho butterfly is stunning with its vivid, metallic, shimmering shades of blue and green camouflaged by a dull brown underwing. And, just the other day I held a Jungle Nymph. Never in my life have I held an insect that large. It was beautiful and creepy all at once. But, I would have to say that I adore the woolly bear caterpillar because, it’s well, woolly. I love how they curl up in your hand with their fuzzy black and russet colored bands. For many children, I think this cozy critter is an introduction to the curious, natural world in their own backyards. Brendan Wenzel’s mixed-media illustrations are eye-catching and go perfectly with your words. What ran through your head the first time you saw the finished illustrations? 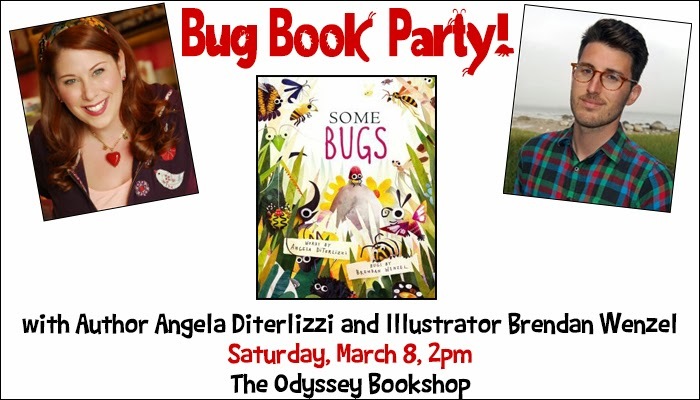 Angela DiTerlizzi: I am obsessed with children’s book illustration! I admire it, pour over it and Tony and I even collect it. When I write, I usually have a vision for what I hope the final artwork will look like and the tone it will convey. Fortunately for me, my editor, Andrea Welch, welcomes my thoughts. When I wrote the manuscript for SOME BUGS I imagined the illustrations looking something like Eric Carle meets Leo Lionni meets Charlie Harper. 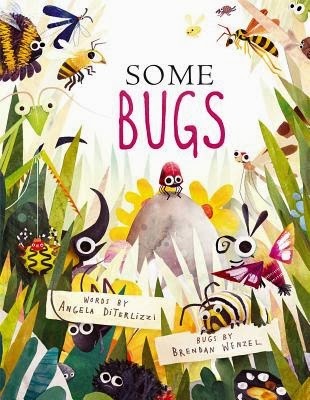 I felt that in order for children to really connect with the bugs they needed to be colorful, engaging and appealing. I hoped this book would be a field guide primer of sorts, with the characters based on real bugs. So, I began searching for the perfect illustrator. 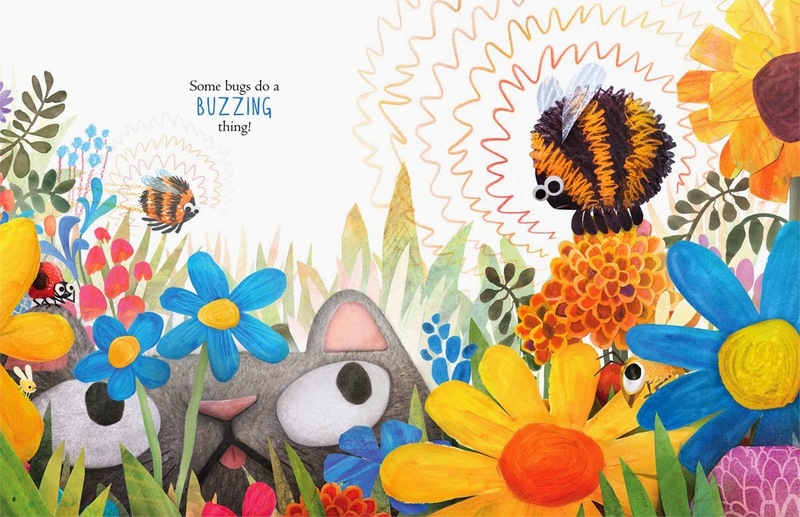 When I discovered Brendan’s illustrations of wildlife it was love at first sight! His artwork completely captures the charm and vibrancy that I hoped SOME BUGS would embody, and though rendered in vibrant, mixed media, they accurately depict each species of insect and their appropriate environment. Brendan’s fabulous work paired with the skillful and cheerful design of Lauren Rille created the perfect, playful backyard microcosmos that I want to grab magnifying glass, get inside and explore. Picture books are my obsession. I didn’t grow up in a house with many books. I was a reluctant reader who had difficulty with reading comprehension. I lost interest when I was forced to read books without pictures. It wasn’t until the age of 20, when I met my then aspiring children’s book illustrator, now husband, Tony, that I was reintroduced to a missing literary childhood. I pulled The Frog Prince Continued by Jon Scieszka and Steve Johnson off of his bookshelf and I’ve been hooked ever since. Thank you, Angela! I cannot wait for everyone to read and share Some Bugs. I am giving away one copy of Some Bugs. 1. It will run from 3/6 to 11:59 p.m. on 3/7. Borrow Some Bugs from your school or public library. Whenever possible, please support independent bookshops. SOME BUGS sure looks like some fun! This looks like a fun read aloud book! I can't wait to read it to the kids I teach my art and literacy classes too. Thank you for sharing your gift with the world. This looks great! Off to put it on reserve... Thanks.